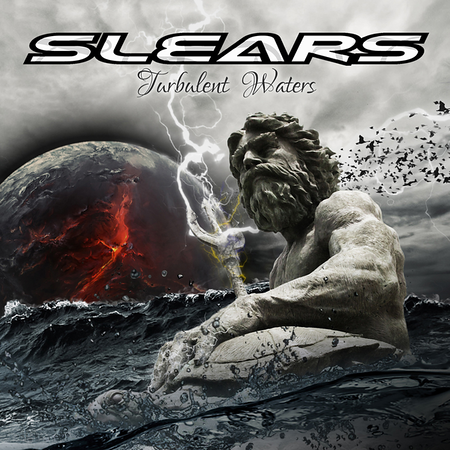 “Turbulent Waters” is the second album from German band Slears and it was released on 23rd March through MusicBuyMail / Enghardt Media. The band formed in Bavaria in 2007 and released their debut album in 2014. However, this is my encounter with them and it’s a very favourable one! “Turbulent Waters” is an excellent heavy rock album with loads of great tunes, soaring vocals and powerful guitars throughout. There are a few slower tracks, but they’re well worth checking out too. I included the track “Haven” on the Friday NI Rocks Show on 23rd March. Guitarist Tom Käser formed Slears back in 2007. The only other original member remaining with the band is fellow guitarist Gustl Berauer, however the other three have been with the band since before the release of their debut album in 2014. They are vocalist Peter Kandlinger, bass player Andi Eichinger and drummer Daniel Rasquin. The 2014 debut album “Far Away From Getting Somewhere” was also released through Enghardt Media and it received some great feedback. There are 11 tracks on “Turbulent Waters”. In addition to “Haven”, my personal favourites would include “Freefall”, “Turbulent Waters”, “SOS” and “Angel Lost”.